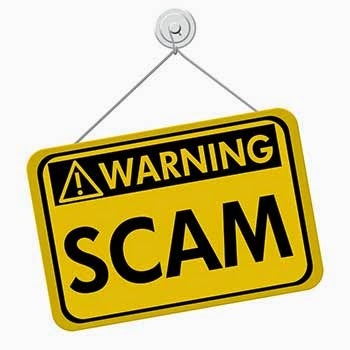 Attention Members & China Foreign ESL & TEFL Teachers: Some scam artists have been contacting ESL & TEFL teachers falsely claiming to be from the very reputable and white-listed Yew Cheung International School offering good jobs with great salaries. They use both foreign and Chinese names and use both emails and calls to solicit teachers in China and abroad. Thus far they have swindled more than 28 teachers. This person asks for an up front processing fee. THEY ARE NOT AT ALL CONNECTED NOR EMPLOYED WITH YCIS!!! They are a fraud and need to be avoided. More details are available on our web site. If you have any doubts you can contact YCIS directly and only through their web site. If you are contacted with this scam , please play along and send us their email and mobile telehone number, but do not send them any money. Thanks. Beware and be sure! This is a serious scam in which *many teachers* have been defrauded. The posting was made in ESL101. In addition, at least one of the teachers involved applied to YCIS's *on line* application -- and then sent a contract to YCIS's correct mailing address via FED EX. At that point, YCIS knew or should have known that someone had access to their documents (and to their database) - yet it would appear that YCIS is not concerned with those who have been "defrauded" (presumably by someone at their organization). Rather they are simply concerned that someone is "using the YCIS logo." From a legal perspective YCIS had some duty to inform people about the scam - and certainly to those who sent in what appear to be false contracts to the school. Moreover, one would hope that YCIS which purports to have "Christian values," would show compassion towards those who have been defrauded -- and not simply be concerned about their "logo" and intellectual property. There are many people who have been defrauded by a scam recruiter -- who appears to have access to the YCIS application databased *and* to internal documents at YCIS. This matter is being investigated by the FBI and by agents in Beijing, China. When contacted, YCIS appeared to be aware of the fraud -- but yet did nothing to issue a warning or to reach out to people who had sent false contracts directly to their school. Regardless of whether or not YCIS is legally culpable, they are certainly complicit in allowing this to continue. Moreover, when confronted with this information, they expressed concern about the "misuse of their logo" -- and showed no concern or compassion for those who had been defrauded. This by a school that purports to have Christian values. OMG..so this people are fraudsters, oohh well i got their job post on esl101.com and i applied,, a day or 2 they responded and we did email interview reason why not use skype or phone calling was coz of " communication barrier" thats what they said.. the fooling day they sent me an email again saying the interview was successful there for i got the job, okay then later on the same day they emailed me an appointment letter which i signed,scanned and sent it back to them..after that again they sent the contract terms of agreement letter which i signed, scanned and sent to them..Then after i was referred by them to an agent called CUTEY TRAVEL AGENCY that was to assist me with my working visa,id card,flight tickets etc which i believe they stole the agent's information so when u Google u will find it there, but the contacts are not the same ..the job benefits were unbelievable.. the name and address they use are: DR. BETTY CHAN PO-KING, MR.LEE JONG, MR.MU YO KONG (visa agent name)...email: YCIS_RECRUITMENT@QQ.COM..CONTACTS: CHINESE(852)85837316, ENGLISH:(852)8030864538 male and female when you call they pretend not to hear you and tell you its a wrong number..PLEASE BE CAREFUL GUYS these people are aint good..THEY NEVER SCAMMED ME THOUGH I DID MY BEST TO GOOGLE THEM UP TILL THIS PAGE..